Every commercial vendor faces the same logistical issues, whether they are a brick-and-mortar store or an online presence only. The need for ecommerce tools, such as tracking human resource activities (including payroll,taxes, benefits, etc. ), managing inventory (suppliers, wholesalers, deliveries), authenticating and safeguarding financial transactions (purchases, sales, receivables and payables), and accessing and protecting confidential customer data are some of the day-to-day activities that must be mastered for any enterprise to thrive. The rise of ecommerce – buying and selling activities that occur exclusively online – has escalated both the benefits and challenges of today’s commercial endeavors. The complexity of ecommerce opportunities can make it very difficult for any shopkeeper to know how to scale up from their cozy corner boutique to a sustainable, successful internet presence. Understanding how digital technologies work separately and together will assist any commercial entity in determining exactly which type of software would most benefit their proprietary enterprise. It all starts within the “framework” of the corporate website. If the Internet is a digital highway, a framework is its gravel and cement foundation. Frameworks are modules of computer programming that provide the foundation upon which proprietary programs can be built. Internet programming began by every programmer creating their own infrastructure program for each program they wrote. After a time, they realized that creating one modifiable foundation (framework) allowed them to expand their programming by “plugging“ additional program aspects into the foundation. This freed up time (the foundation was already there) and allowed systems of programs (each offering different ecommerce tools and services) to work together in harmony, all based on the same digital concepts. Today’s frameworks offer a multitude of commercial management tools (HR, inventory, financials, analytics, strategy, etc.) that knit together into a comprehensive administration tool for the entire commercial enterprise. The initial commercial foray into the software tool room was aimed at streamlining front-of-store financial transactions – menus, sales, tax calculations, customer information, etc. It didn’t take long for store owners (and their programmers) to see the value in the vast amount of collected data. Inventory management, product profitability and investment strategies are now very much informed by how the buying public interacts with the corporate enterprise. The next wave of digitally informed technology is directed at acquiring and maintaining lifetime customers, and that information is directly related to the comfort and trust they have with the vendors with whom they do business. One of the best ways to find, and retain clients, is through the use of growth driven design. This innovative strategy allows data and actual user experience and actions to determine the next course of design. While it might not fall into the ecommerce tools category specifically, it engages many of those tools to benefit your business. In the future (literally tomorrow), it will be exponentially important for ecommerce merchants to integrate their back-end technology tools (inventory, production values, etc.) to their front-end customer data (purchases, returns, comments, preferences ,etc.) in order to provide the high level of products and services their customers are now demanding. Websites will be expected to include accurate product information, easy and secure purchasing processes, easy return and refund options, the opportunity for comments, and, above all, exceptional customer service to every digital potential customer. Consumers who experience difficulties with any of these separate aspects can easily ditch them all in favor of the nearest digital competitor. Included in the technology suite should be tools that allow “omnichannel” connectivity. Consumers want to access their favorite vendors from mobile devices and through multiple platforms like Facebook, Twitter, Instagram and (maybe hundreds of) others, existing or to be invented. Tomorrow’s consumers will expect to have access to the complete corporate offering through whichever portal each individually prefers. Commercial ventures that master that multichannel component will almost certainly master their market as well. 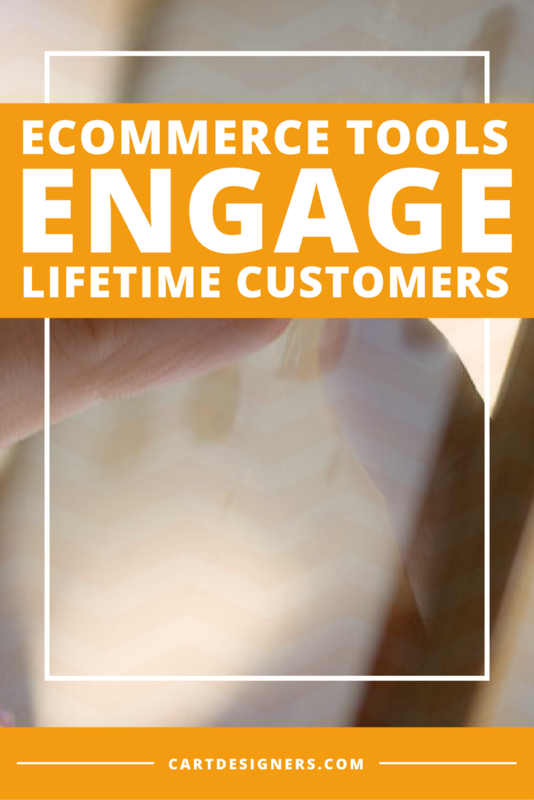 To identify and implement the digital ecommerce tools that will invite lifetime customers to your commercial enterprise, both front and back-ended, contact us today.